Acknowledgments are text notifications sent by a company official to some or all employees. They can include an attachment and a short message. The system automatically creates an open-task which is closed when the employee presses "I Acknowledge This". By default, the alert will be sent to the entire company. You can choose to send it to a specific area if you'd prefer. NOTE: Acknowledgments are sent to an employee's iPhone or Android device if they have push notifications enabled. 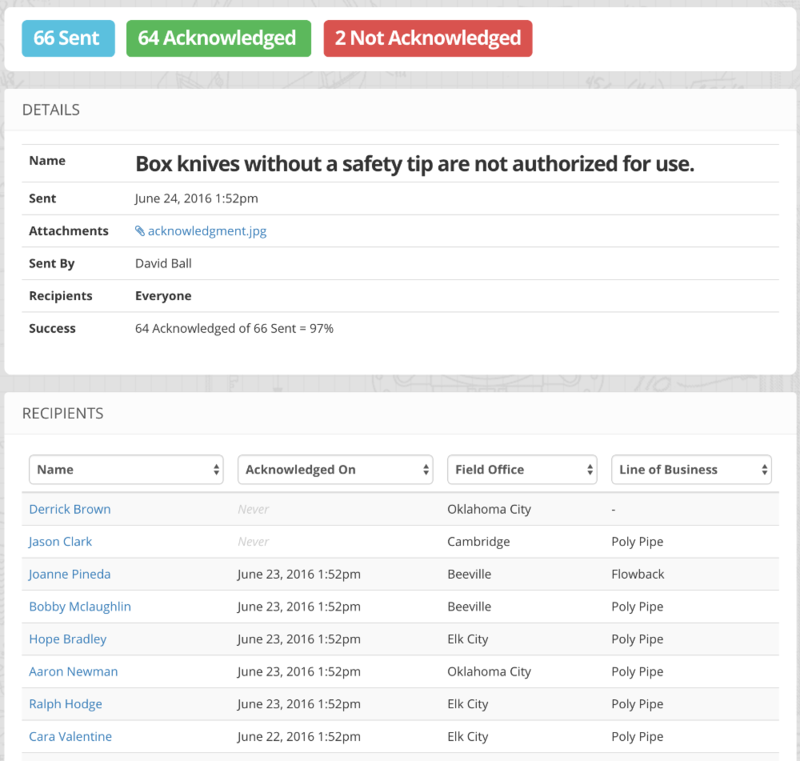 Employees can also opt-in to receive emails for acknowledgments via their Notification Settings page. Once you've send the acknowledgment, you can click "Details" to view it's status. This page will show you what was sent and how many people have acknowledged the alert. It also includes a listing of each employee and a timestamp of when they acknowledged the notification. 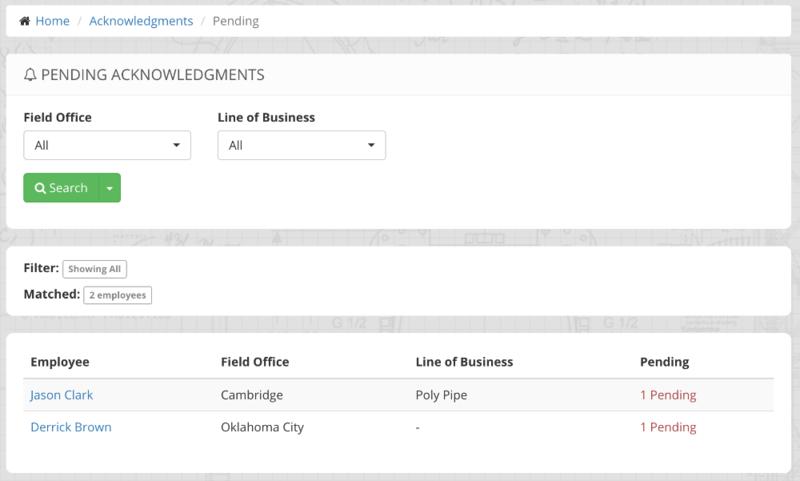 You can also review a "Pending Acknowledgments Report" which lists any employees who have incomplete acknowledgments.